Friday, December 6, 2013 will be known as Winter Storm 2013 or as the local news just called it "Sleetnado!" Now that is funny! 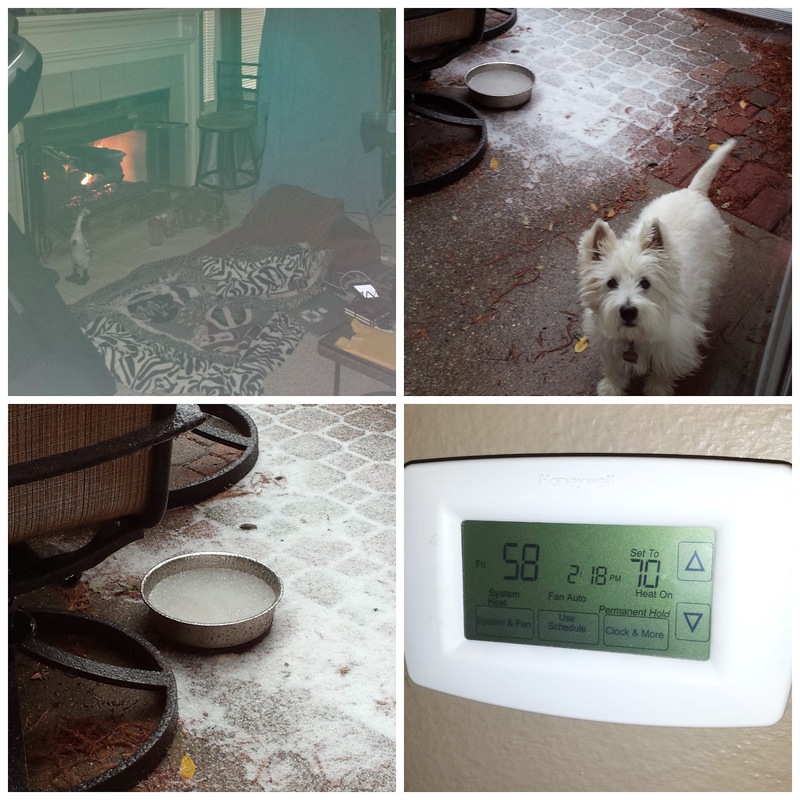 I could write about how cold it was in the house (58 degrees and dropping) and how long I had to go without electricity (8 hours; no heat, no internet, no blog). Instead I chose to share a winter memory from my childhood. I grew up in a little farming community in Kansas. You can read a little about it here. We had this long driveway (made of dirt) and whenever there was snow forecasted, Daddy would park the car close to the road so we could shovel our way out if we needed to get out. But the most vivid memory was the blizzards we had and what we would do inside the house. I remember one blizzard, we woke up and found a sheet covering the kitchen doorway. When you crossed that threshold, it was magical (or at least in my child's mind). Momma had the camping lanterns lit and the Coleman stove going for breakfast. The kitchen was toasty warm and Momma was at the stove making pancakes! We stayed in that kitchen all day. Not to worry, there was a bathroom off of the kitchen so we did not have to brave the freezing house until bed time. I just remember how fun Momma made it seem that we were hanging in the kitchen, playing games, talking, and cooking. I have fond memories of that...not so much when we had to go to bed in our own beds and sleep in sleeping bags and pile blankets on us so we don't freeze. I think we even wore our coats to bed! Going through Sleetnado of 2013 brought back some wonderful childhood memories for me. Yes, it was hard today with no electricity, no heater, no electric blanket, and no internet, but I felt I was given a gift of my childhood and relived a magical time. Here are a few, very few, pictures of "Sleetnado 2013" (I just love that name!) I stayed inside so there were not many pictures. Top left: my pallet in front of the fireplace where I spent most of the day. No wonder my back hurts! Bottom left: Check out Gavin's water dish. Frozen! Glad he didn't try to get any water.